movements of martial arts with functional fitness. The format challenges the participants mentally as well as physically, a requirement to reaching ones fitness goals. Similar to the practice of martial arts and yoga, the movement does not change often, rather the participants understanding of the movement evolves. Think about it this way— which do you think is more effective? “Practicing 10,000 kicks ONE time or practicing ONE kick 10,000 times?”- Bruce Lee. 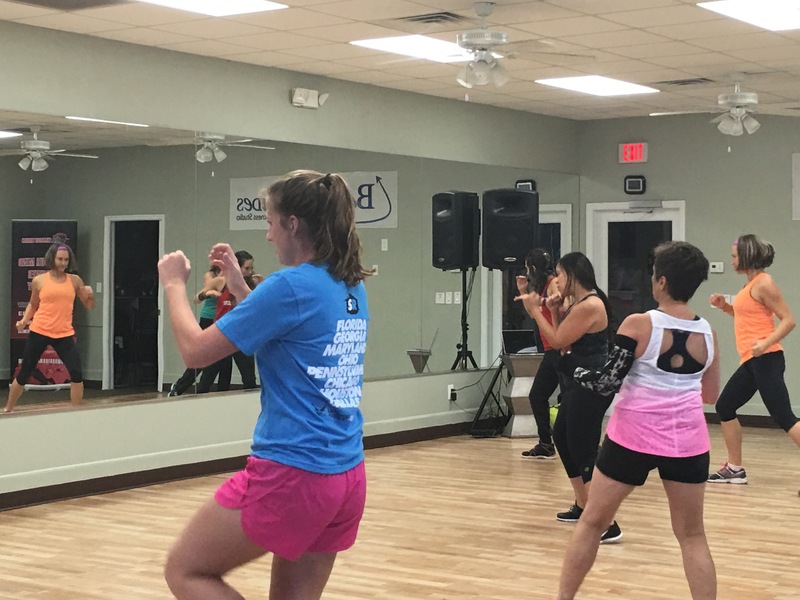 “It is different than Zumba, so at first, it takes a bit of getting used to. Yes, this class will challenge you, but you are not expected to do state-of-mind (level 3). You do it at the level you are capable of doing this at. Maybe that’s what the misconception is: that you have to do everything the instructor does, you don’t. She gives/shows you each stage. Do the stage that you are capable of. If you want to do stage 1 throughout the workout, then do it. You are not pushed to do anything you don’t want to. it’s your workout and make the most of it. ” says Veronica, a recent participant of the program. Throughout the workout she explained how many ideas about strength, channeling your inner energy and really focusing on clearing your mind was a great way to step out of her comfort zone and really just focus holistically. Not only do you get to try something new, but pushing those boundaries is always beneficial for your self-confidence & mental wellness. This is more than just a workout, it’s a lifestyle. Once you change your mindset and focus you can accomplish anything. Come into Body Altitudes Health & Fitness any Sunday at 11:00am and discover the Warrior in YOU! !